1-0 Woodford County after a solo home-run by #20, and it only got worse from there for Sacred Heart Academy (Louisville). 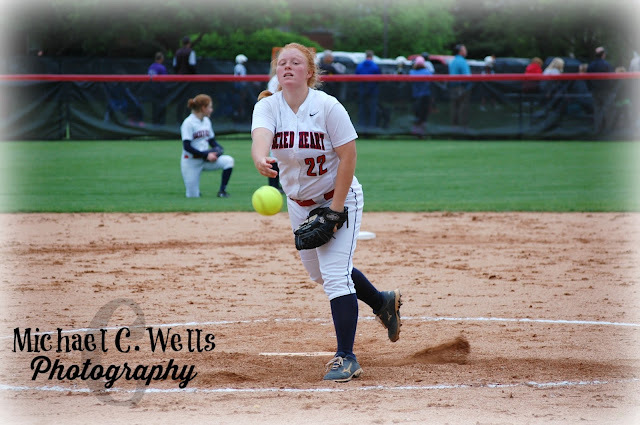 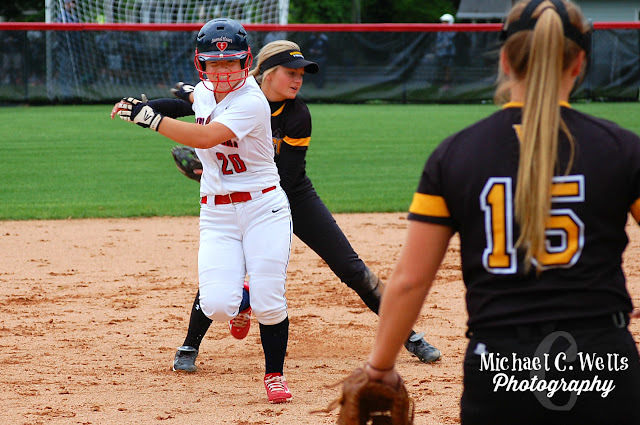 The Sacred Heart Academy Valkyries trailed 0-3 in the 3rd inning thanks to an error that cost them a run, and another solo home-run by Woodford County. 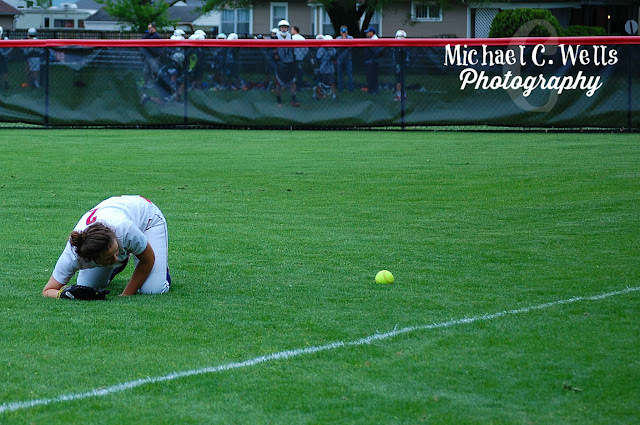 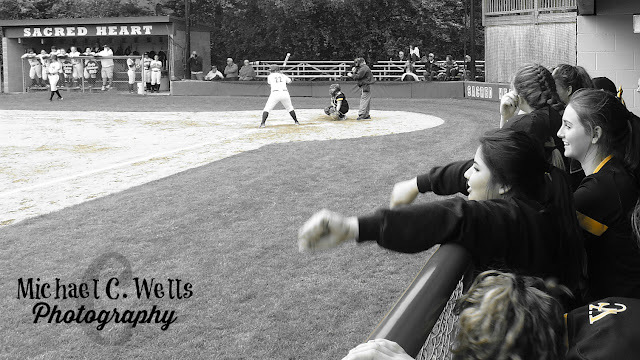 In the 4th inning, Sacred Heart Academy fell apart. 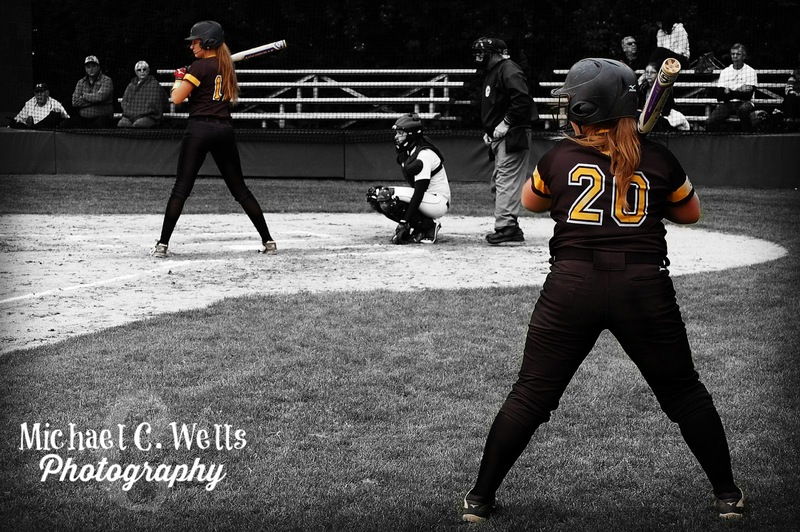 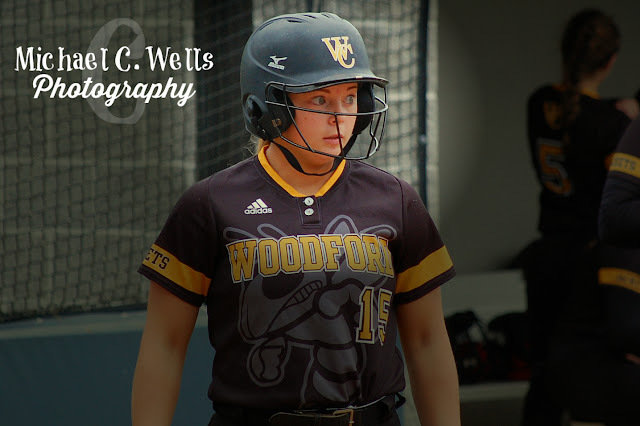 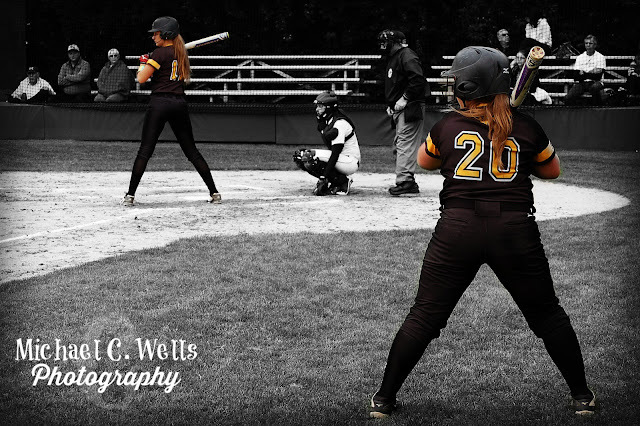 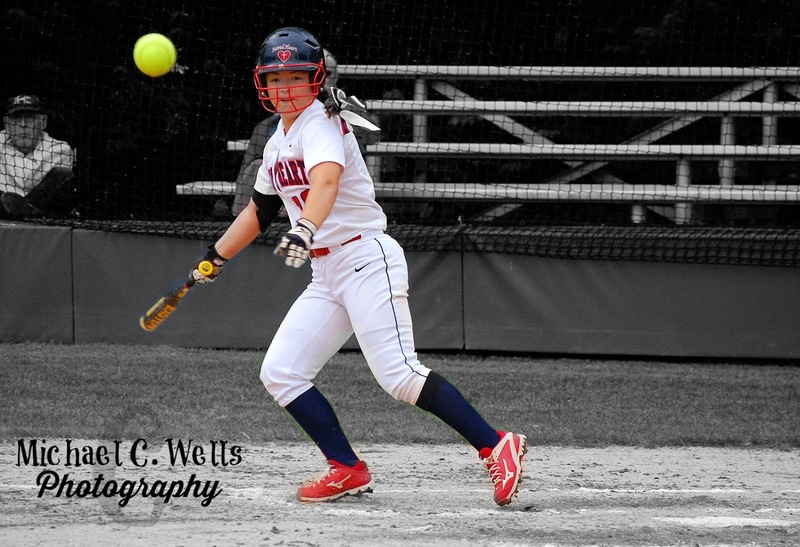 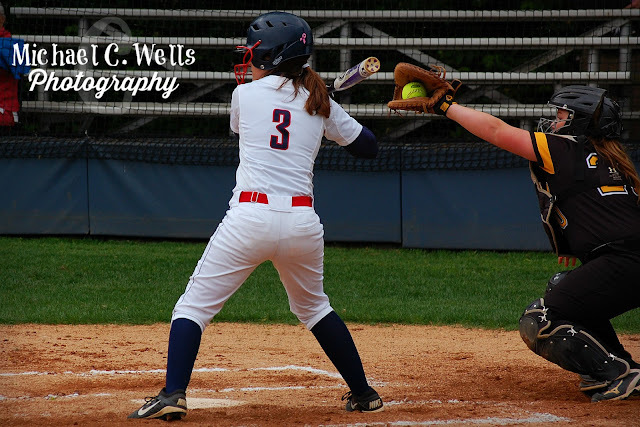 Even after walking #20 to prevent her from recording her 3rd solo home-run of the game, the errors and poor execution continued. 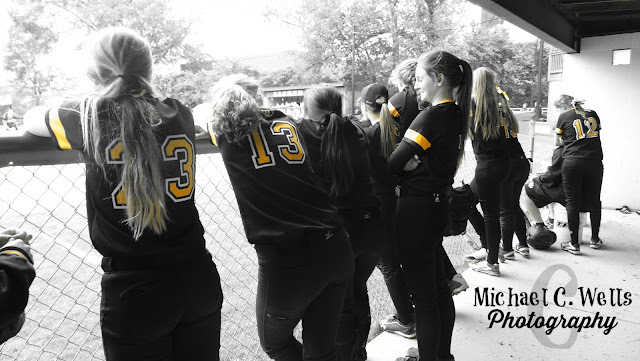 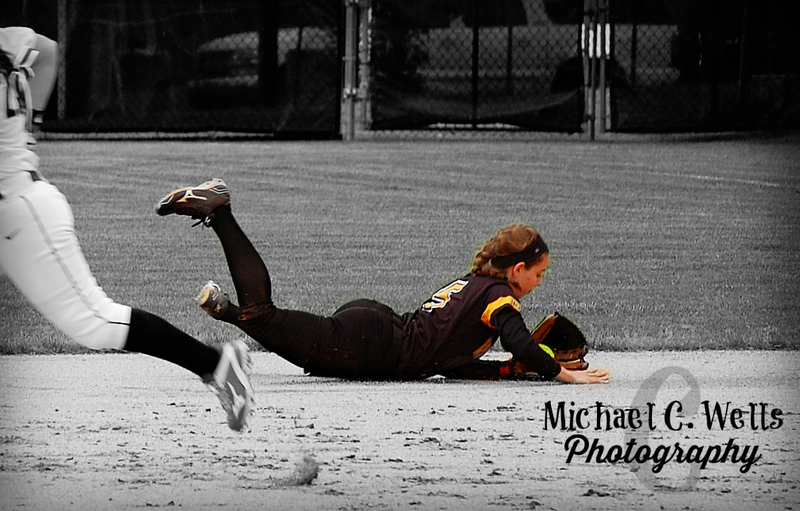 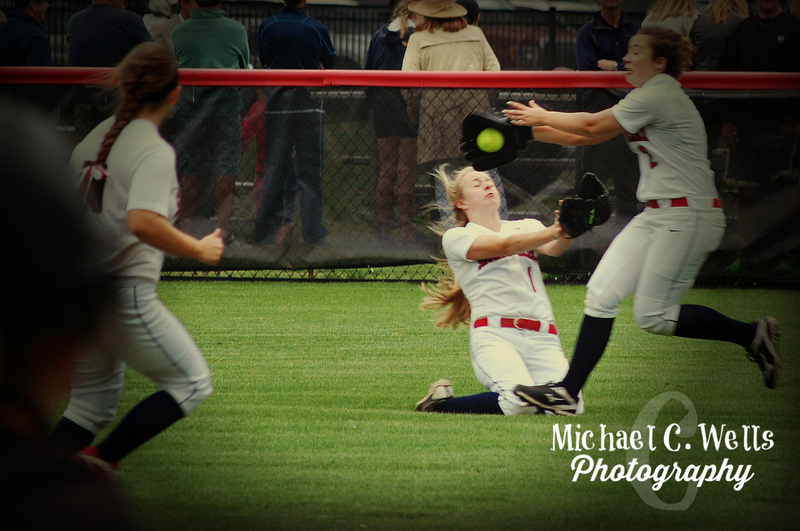 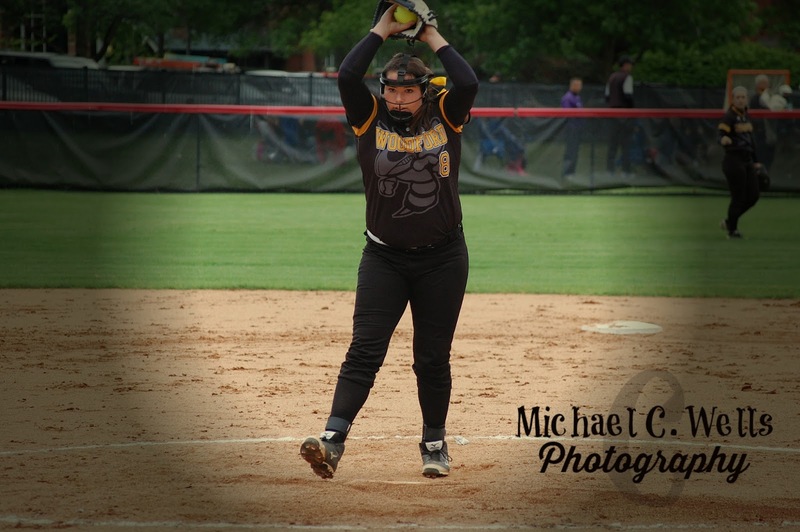 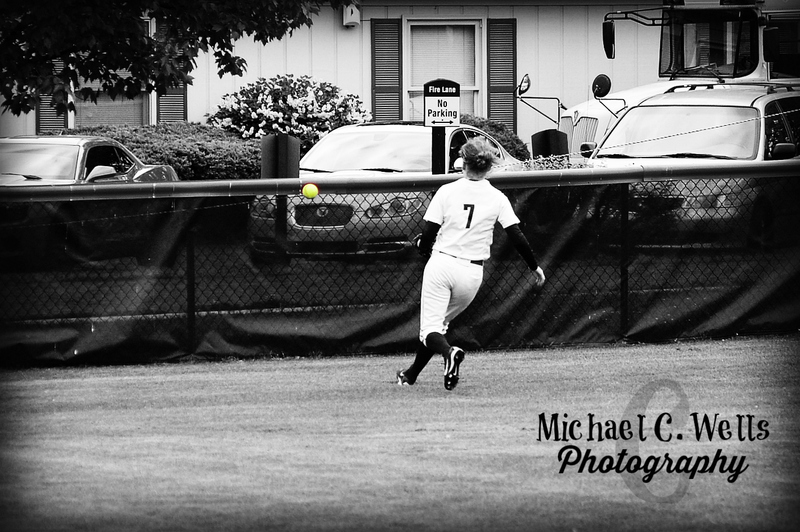 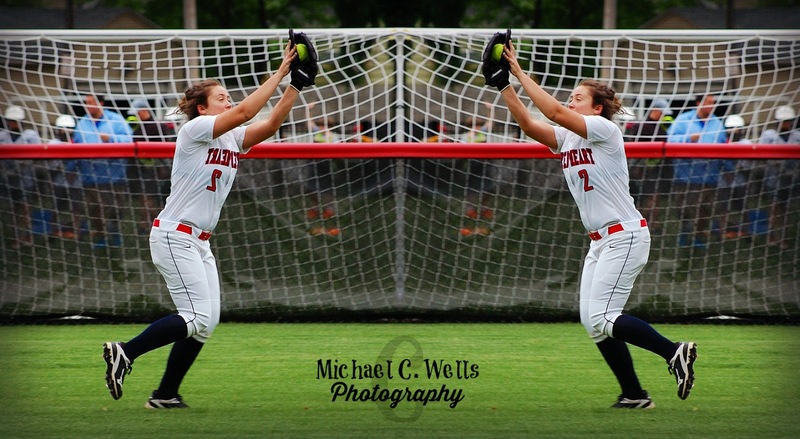 Even when the outfield was making the plays and outs were being recorded, Sacred Heart Academy found themselves making errors in the infield while running bases; colliding with Woodford County players going for the ball, creating automatic outs. 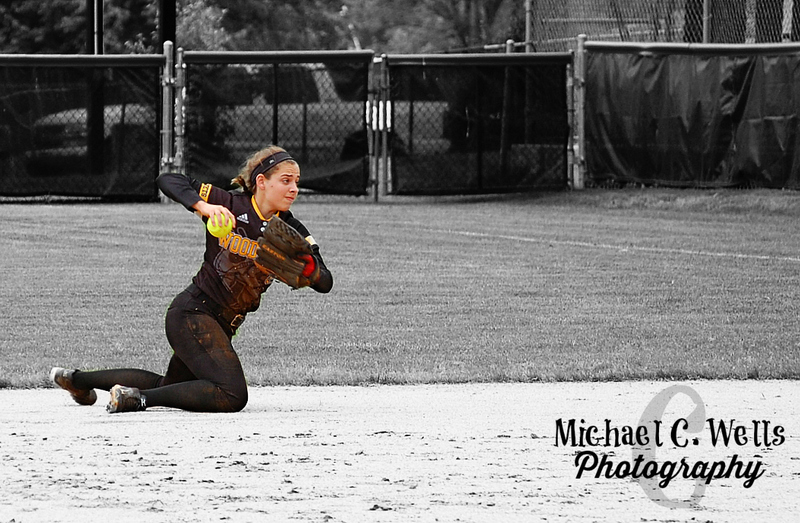 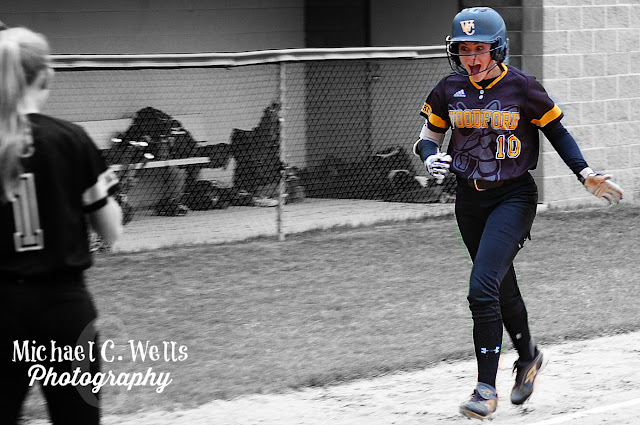 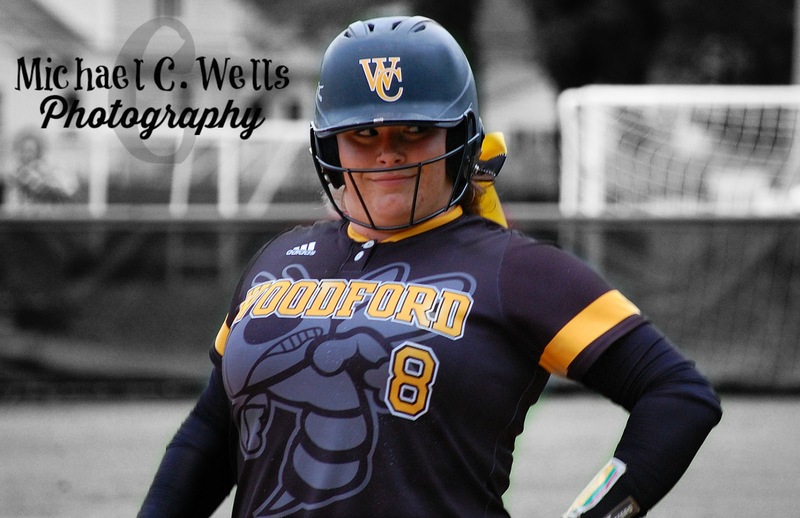 The damage continued into the 6th inning, as Woodford County extended its lead to 8-0 over Sacred Heart Academy. 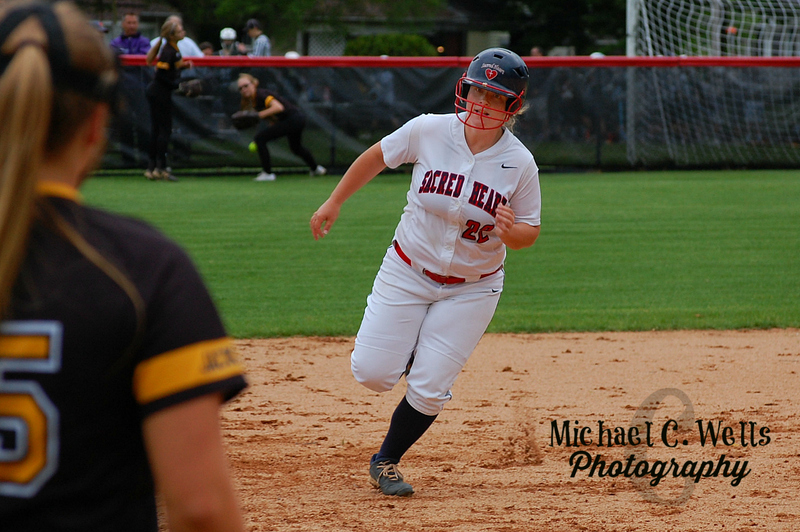 Sacred Heart was able to get on base, even loading the bases early in the game, but was never able to advance the running from 3rd across the plate.